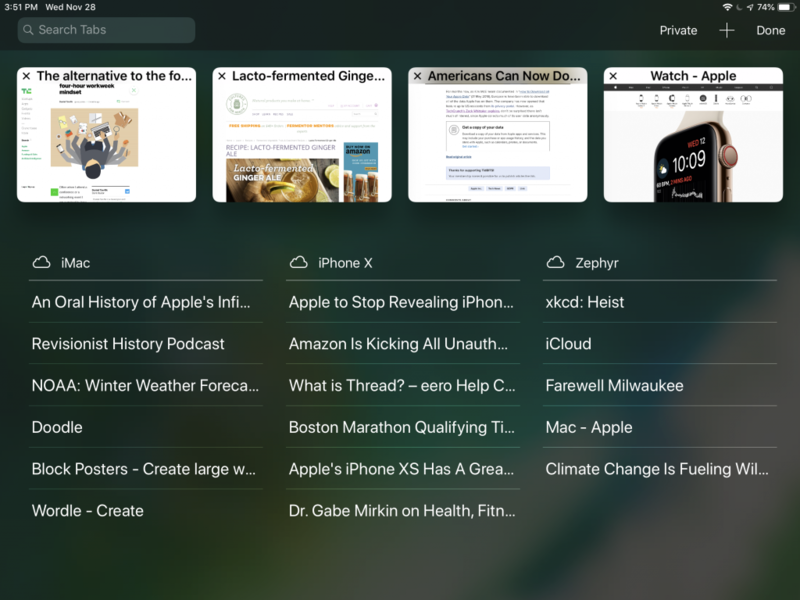 This tab overview is easiest to find on the iPad where tapping the tab button displays local tabs as thumbnails at the top of the screen and lists tabs from other devices beneath. On the iPhone, scroll down to the bottom of the tab list to see them and on the Mac choose View > Show Tab Overview. Click or tap any tab to view it. To close an unnecessary tab in iOS swipe left and tap Close; in macOS hover over the tab name and click the x button that appears.